Face recognition is becoming an increasingly common form of biometric unlocking of our smartphones. 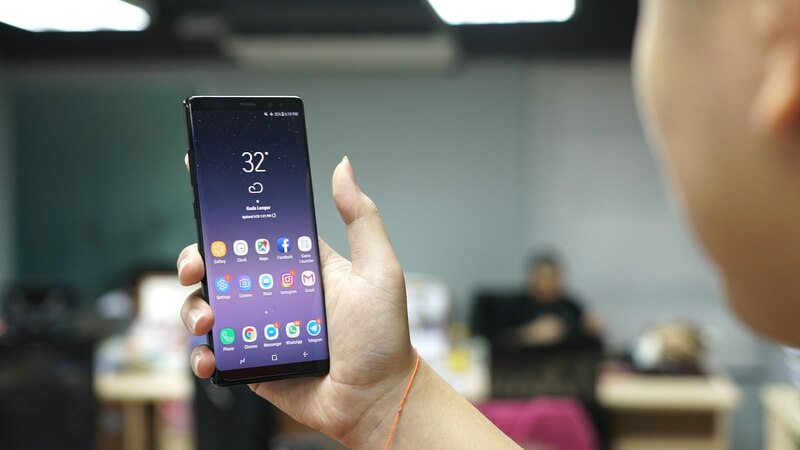 Samsung got the ball rolling with its iris scanner that evolved to a faster face recognition unlock from the ill-fated Galaxy Note 7 to the Galaxy S8, before combining the two on the Galaxy S9’s Intelligent Scan feature. Meanwhile, Apple has Face ID, which is touted as a more sophisticated facial recognition technology. Naturally, we had one question to ask: which is the better face recognition unlock mechanism? On the Galaxy S9 and S9+, Samsung combined the iris scanner and face recognition software into a single unlocking mechanism, calling it Intelligent Scan. The idea is quite simple: if the face recognition software cannot detect your face, it moves to enable the iris scanner as a fallback option. 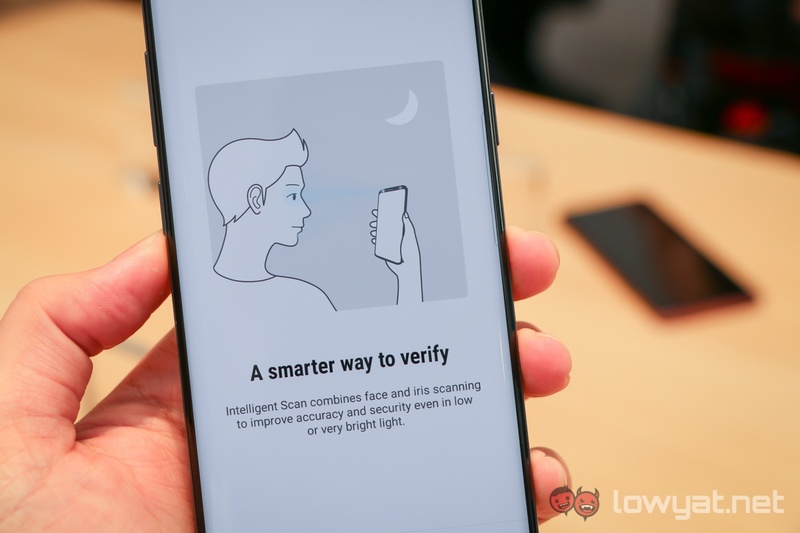 As such, Samsung states that Intelligent Scan is the more reliable and secure unlocking method compared to either one of the two unlocking modes. It would even work in challenging light situations, which is one of the drawbacks of the basic face recognition technology. Meanwhile, Apple went out of its way to create the technology that enables Face ID. The module within the notch on the iPhone X’s display actually houses some very advanced hardware. There is a laser dot projector that illuminates a user’s face with 30000 dots that maps out a three-dimension model of the face. This model is cross-checked each time the user unlocks the phone, where the dot projector is switched on each time. This means that Face ID should work in any lightning situation, and is more secure due to the sheer difficulty in replicating a 3D face model. We wanted to see which face recognition unlock method works best and most reliably in a variety of lighting conditions that a user would experience in day-to-day usage. 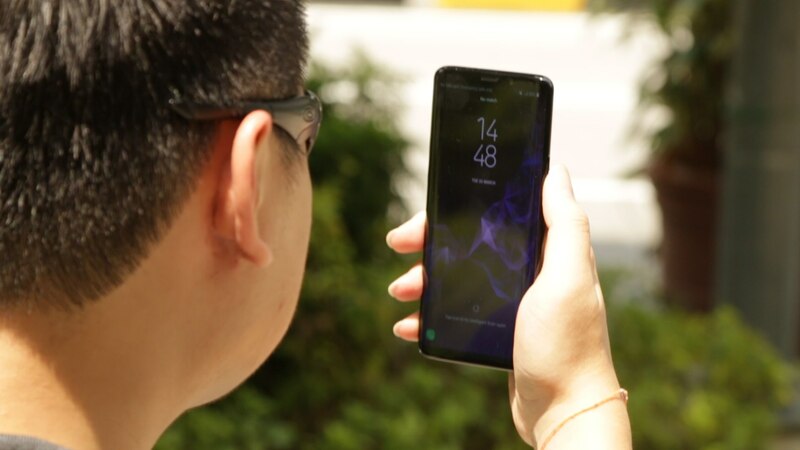 As such, we used three devices: the Galaxy Note 8 (basic face recognition), the Galaxy S9+ (with Intelligent Scan), and the iPhone X (Face ID), and tested them out in four different scenarios: outdoors (broad daylight), outdoors with sunglasses, indoors (office environment), and in the dark. Under each lighting scenario, we unlocked each of the three phones at least two times to make sure the results are consistent. All three phones have no issues unlocking with their specific face unlock modes. There is more than sufficient light for all three phones to easily detect faces almost immediately. One interesting observation here is the fact that the Galaxy Note 8 unlocks even faster than the Galaxy S9+, possibly due to the S9+’s additional iris scanning layer. Here’s where things get interesting. With a pair of sunglasses on under the hot sun, can the software on the three phones still unlock the phone? After all, this will be a common scenario for most users – and in the case of the iPhone X, there is no fallback unlock option besides the old PIN code. But as it turns out, the iPhone X ran away as the clear winner in this one. The phone unlock seamlessly each time we tried it, which wasn’t the case for the Galaxy S9+ and the Galaxy Note 8. The Note 8 did not recognise my face at all with sunglasses on, while the Galaxy S9+’s iris scanner works…as long as you move the phone about 30cm in front of your face. With plenty of fluorescent lighting in our office, all three phones again had no issues unlocking using face recognition. The Galaxy Note 8 is awfully fast here, beating even the Galaxy S9+ in terms of unlocking speed. The iPhone X, while unlocking without a fuss, requires the user to swipe up to enter the home screen (it’s a UI quirk that Apple calls “intention”, in case you’re not actually looking to unlock the phone. Few of us would care to admit, but we definitely use our phones a lot at night before we sleep. But is it possible to unlock our phones in complete darkness with face recognition? For the Galaxy Note 8, it’s a complete no-go. The lack of any substantial source of light means the front camera cannot “see” your face, rendering it unable to work. 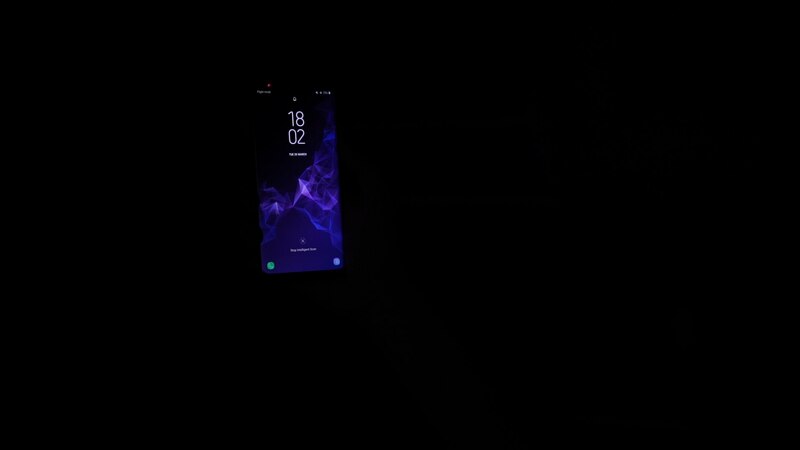 Meanwhile, Intelligent Scan on the Galaxy S9+ can and does unlock your phone in the dark – but with one very uncomfortable condition. As our comparison video above shows, the screen lights up significantly brighter than usual to allow the front camera to locate your face. Then the iris scanner kicks in to unlock your phone. The entire process takes less than a second, but that initial flash of light is pretty painful for the eyes, and makes us wonder why would Samsung resort to such measures. Side note: Huawei’s P20 face unlock does this too in low-light situations. Once again, Face ID on the iPhone X really proves its worth here. Not only does the phone unlock as quickly as it does in broad daylight, it does so without temporarily blinding the user. As the folks at Cupertino like to say: it just works. 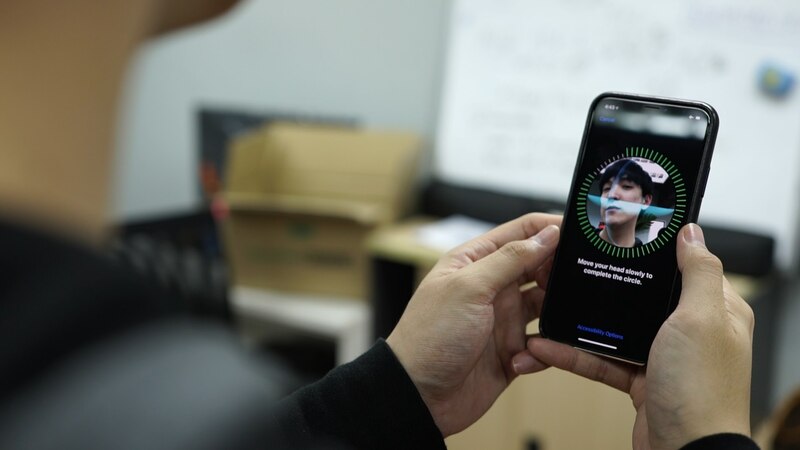 After our quick testing, it is fair to say that Apple’s Face ID is the best form of face recognition unlock among the three phones that we tested. Given that almost every other Android smartphone uses the same form of face unlock as the Galaxy Note 8, we can with some confidence extrapolate this findings to those phones, too. 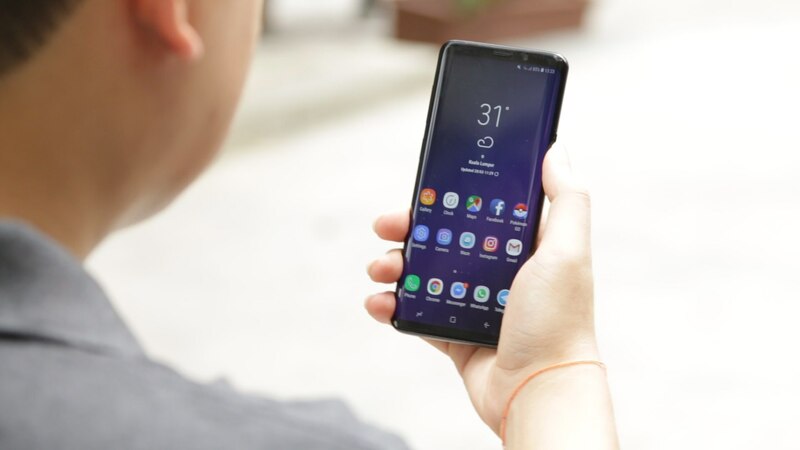 The Galaxy S9+ with Intelligent Scan definitely improves upon the the Note 8 by combining its iris scanner with the standard face recognition technology, offering more flexibility in the manner in which the phone can be unlocked. On top of that, there’s always the fingerprint scanner on both the Note 8 and S9+ as an option – something that the iPhone X does not have. Nevertheless, Face ID on the iPhone X really is something else: the iPhone X unlocks in virtually any lighting situation without a hint of hesitation. But, having something that works this well does come at a cost – literally. The iPhone X is brutally expensive – even after the recent deals that saw a RM1000 discount for the phone. 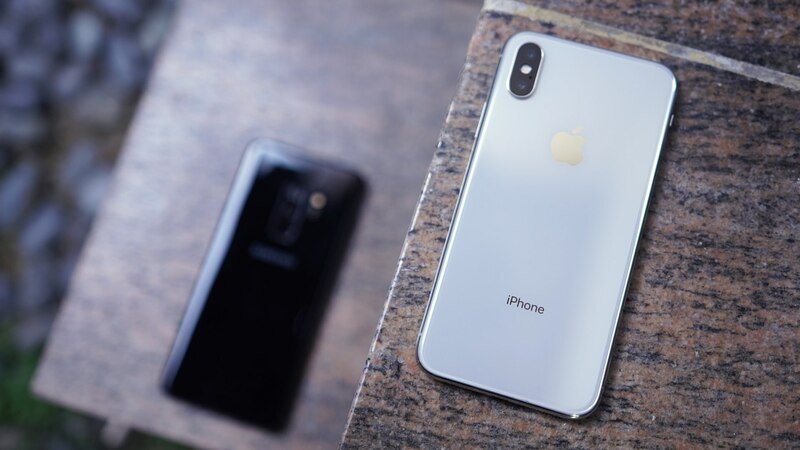 The technology behind Face ID has been touted to be two years ahead of the competition, and from this “face-off”, it certainly looks to be the case.